Samitivej Hospital, a leading private hospital network in Thailand and the Southeast Asia, today took its “Hospital without Wall” concept to a new level with the official launch of the innovative and industry-first “My Health Profile” service, a web-based patient’s medical history information service that allow patients to have access to their personal health information regardless of where they are in the world. Through “My Health Profile”, Samitivej patients can log in to the hospital system and immediately track and retrieve their health information, such as annual health check-up results and other lab result once they were ever admitted at our hospital. Patients can also connect and talk to Samitivej’s medical team and specialists anytime. This provides convenience and speedy health information retrieval for patients who need medical attention while travelling or anytime when they are outside of Samitivej’s premises. “This web-based solution will also add value to our foreign customers as well. Since medical tourism is growing, the number of foreign patients is increasing accordingly. Through “My Health Profile” service, information transfer between hospitals is achieved. This means seamless medical treatment that may save more lives and better prevention to health risks that results in higher quality of life,” said Mr. Chong. “Samitivej is in a strong position to offer such innovative services, given our advanced IT infrastructure, medical excellence, full team of experts and readiness to provide service to both Thai and foreign customers. These are the key factors that enable us to bring “healthcare revolution” to live,” stressed Mr. Chong. The new service is materialized after Samitivej has invested tremendously in its IT infrastructure in order to allow all departments and units within the organizations, and between sister hospitals, to communicate efficiently through state-of-the-art computerized system. Patients and relatives also enjoy faster services no matter they are simple services like entertainment and facilities in patient rooms or other services that normally take longer time such as billing and medicine pickup. Mid 2010, Samitivej expanded its “Hospital without Wall” concept beyond the hospital wall. The introduction of HMA Award winning “Samitivej GO Mobile” has brought the medical industry to another level. Through special application, customers joining the “GO Mobile” plan can use their iPhone to connect to Samitivej’s medical team for health-related consultation, checking doctor schedule or retrieving health information. “With the new solution, we believe that our patients will have better quality of life and greater confidence and peace of mind for their health concerns. Business-wise, this is a new tool for Samitivej to increase its competitive edge over our competitors amidst the more intense competition,” said Mr. Chong. 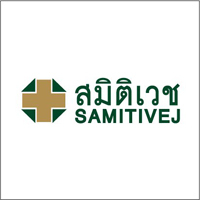 Samitivej is one of Thailand and SEA’s leading private hospital group won numerous accreditation including award from Thai authorities and Joint Commission International (JCI) from the USA. Established in 1979 at Soi Sukhumvit 49, today the group has added three more hospitals including Samitivej Srinakarin Hospital (SNH), Samitivej Srinakarin Children Hospital (SNCH) and Samitivej Sriracha Hospital (SSH).